This entry was posted in Free Stuff, Library Links, Movies and tagged feature films, hoopla, horror, Movies, scary on June 13, 2014 by Rae. Final score: Netherlands 5, Spain 1. Teken van dingen om te komen! From a 2013 game, but you get the idea!! Hup Holland!! World Cup starts off with an upset! 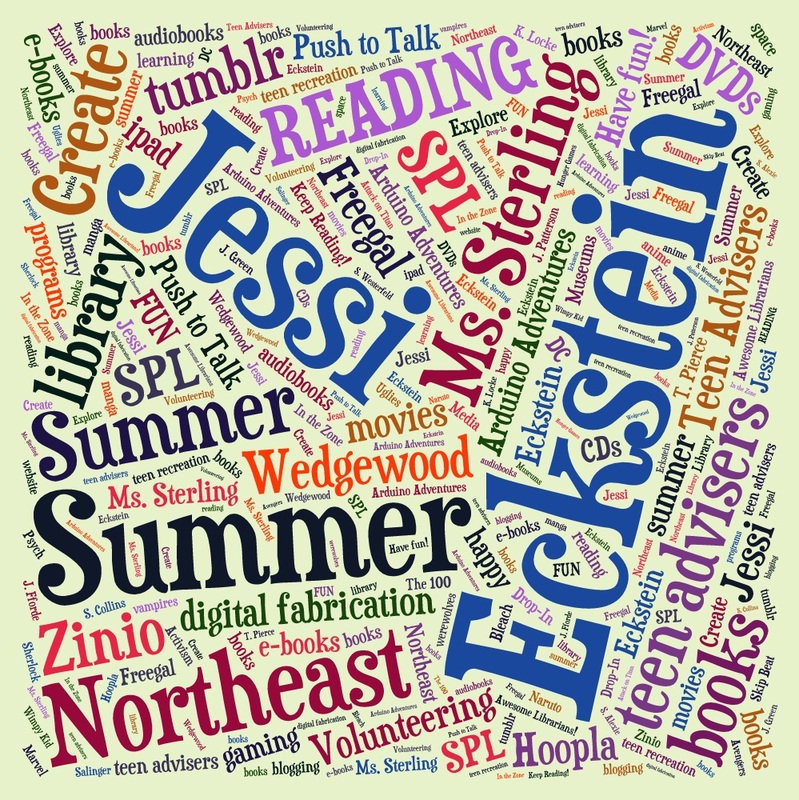 Eckstein…are you ready for summer?!?! School Shout Out to Eckstein Middle School! This entry was posted in Book Lists, Community, DIY, Events, Free Stuff, Libraries, Seattle, Summer Reading Program, Technology and tagged Book Lists, Community, DIY, Eckstein MS, events, Homework, Librarian, Northeast Branch, Summer fun, Summer Reading Program, Technology, Wedgewood on June 13, 2014 by jlucas2001. School Shout Out to Garfield High School! Thanks for being such a great audience today. Click here to see a very informative prezi about our summer program. Remember to check out our tumblr page to see what Seattle teens create this summer. Want to write for this blog? Send us an e-mail and we’ll let you know how! 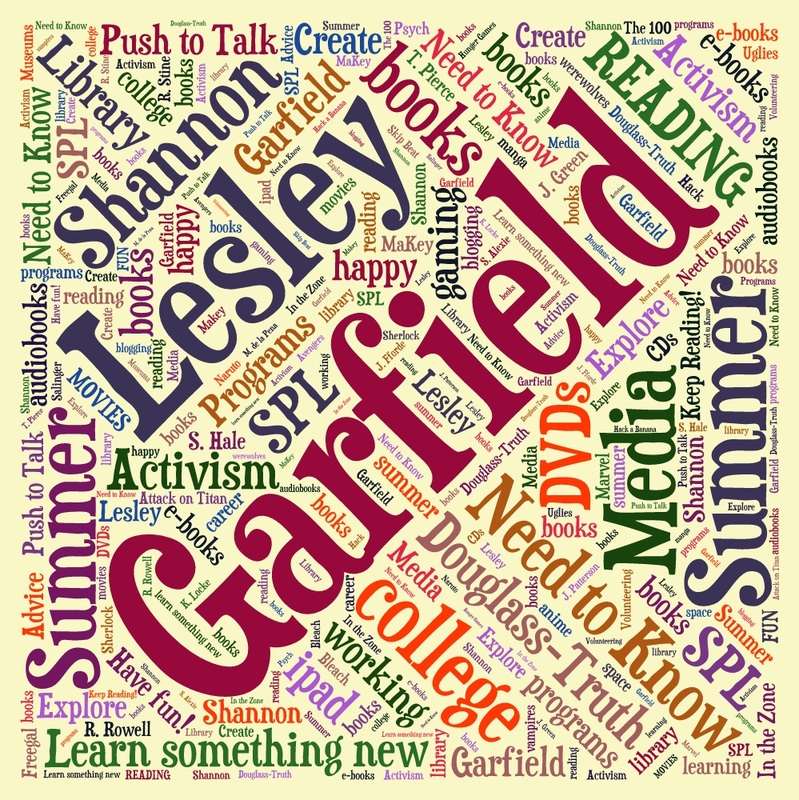 This entry was posted in Book Lists, Community, Events, Free Stuff, Libraries, Seattle, Summer Reading Program and tagged Book Lists, Community, events, Garfield High School, Homework, Librarian, Summer fun, Summer Reading Program, Technology on June 13, 2014 by Shannon.